Media Planning & Buying - Cobain Media offer complete media planning and buying across a whole range of traditional and digital media. We have experience across a vast platform of media and work closely with media owners covering Digital, National and Regional press, Outdoor, Radio, TV and Cinema. Our current client portfolio are within the Travel sector, Men's Fashion, Women's Fashion, Finance, Telecommunications, Gaming, FMCG, Public Sector, Automotive, and a host of Online retail clients. Our approach is simple to identify your business objectives and offer the excellent ROI. Our team our marketing professional will first establish what it is you want to achieve - brand awareness, arrivals to your website, leads, brochure requests, registrations, sales or a combination of all of these. Only then do we select the appropriate channels to plan a marketing strategy to achieve the main objectives. Saving you time and money, whilst benefiting from our dedicated media planning & buying professionals experience. Whether your business operates national or regionally using Digital, TV, Internet, Radio, Outdoor, Traditional press display or Classified advertising, Cobain Media offers you an unrivalled service to maximise you advertising exposure. Using or years of experience we buy the best positions at the best prices. The best news of all is that we offer this service Free of charge to our customers. Our media planning and buying team are a highly skilled media negotiators in all forms of media from Digital to Print , Outdoor to TV and Radio. Our main Focus is achieving the best rates and position's for our clients, our working relationships with key media owners allow us to offer you fantastic buying rates. 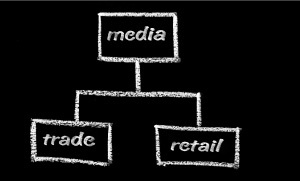 Your media campaign will be planned and executed to meet your business needs and achieve the agreed ROI.